Summer is right around the corner and that means plenty of time for children to play outdoors in their yards. 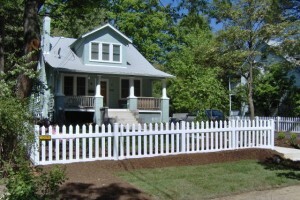 With children and pets spending more time outside, you need to be sure your fence is in top shape to protect them. Before school lets out, check over your fence and consider necessary repairs. Do your hinges work correctly? Are there any broken areas of my fence? Is there any insect damage? Are there any loose nails or screws? Does my latch lock properly? Ask these questions as you survey your fence to ensure the safety of your family this summer season. This entry was posted on Thursday, May 22nd, 2014 at 8:48 pm. Both comments and pings are currently closed.